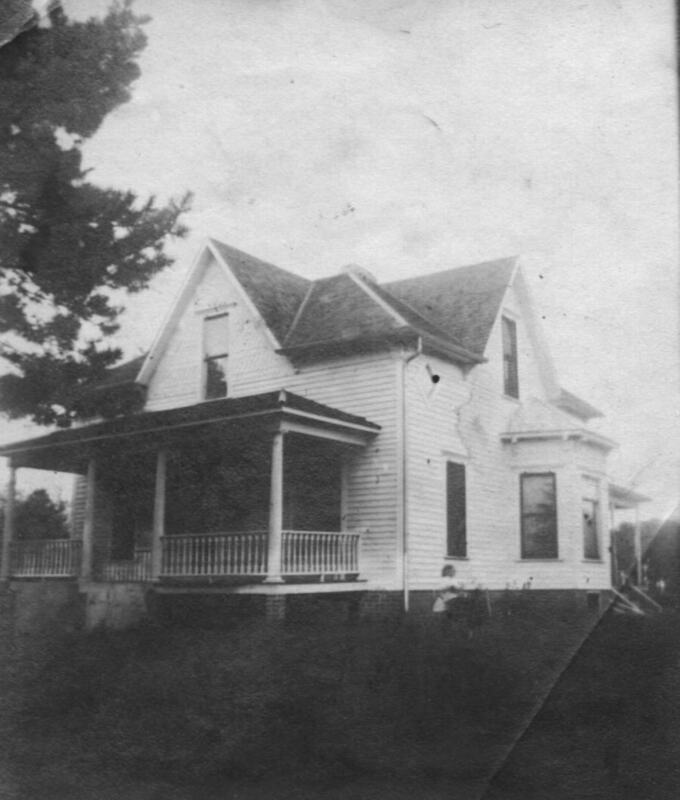 The Noyes home at Liberal, Missouri. Perhaps taken early evening one summer. 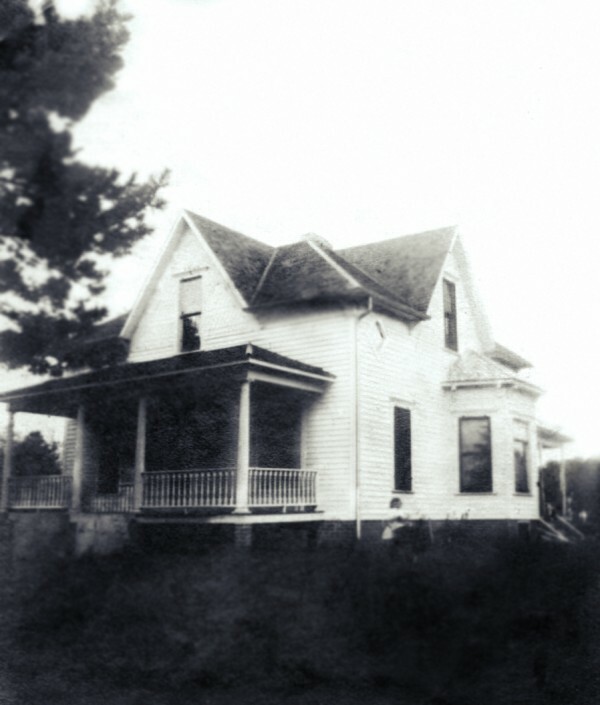 If one looks carefully there is a person seated to the front side of the house, and a group of people standing around the back porch.